Jose and I helped these nice newlyweds find their dream home. Sarah is actually a first time home buyer! 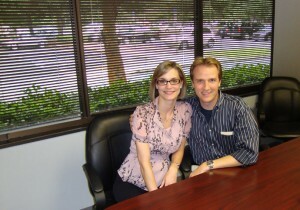 Sarah and John were patient enough to wait on a great short sale deal. It took almost 4 months from the initial contract date to closing (as opposed to 30-45 days on a regular or bank owned home) but it paid off for this young couple! 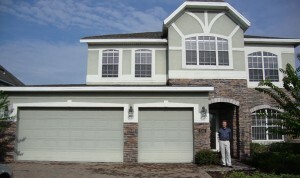 We started the house hunt before spring, looking for homes in the Sanford, Lake Mary and Heathrow area. Even though we came across some bank owned homes as well, John and Sarah fell in love with this home and stuck to it. Perseverance is only one of the many ingredients that make a short sale successful. Yes, buying a short sale is not always easy. It requires a lot of patience, but also nerves. Banks (who are the ultimate decision makers in the short sale process) can be quite difficult during the negotiations. When buying a short sale you need to be prepared and have a knowledgeable real estate agent on your side who is working for you on getting the home. Have the time to wait i.e. they don’t have a deadline as to when they need to move out of their current place. Renters who are on a month to month basis with their landlord are in a good position. Are willing to commit to a home for at least 45 days (as opposed to a regular sale when your offer expires after 48 to 72 hours, depending on the acceptance deadline you specify in the contract). Just putting in an offer but then looking at more homes the next day will not work. In order to increase your chances you have to show the other party that you are serious about buying the home. Don’t want to fight with other buyers over good real estate opportunities. If you don’t want to deal with bidding wars or multiple offers, short sales might be a good alternative. Even if you are in second position when putting an offer on a short sale, there is a good chance that you could end up with the winning bid because the majority of all buyers backs out of short sales once they are tired of the waiting game. First time home buyers who decide to put in their offer before the end of August. The $8,000 first time home buyer tax credit will expire on November 30, 2009 so if you are ready to commit to buying a short sale, do it now. The process takes around 3 months however in some cases more. We will be able to advise you on the best strategy in case you are considering a short sale property as your first home. Buyers who are educated about the process and have professional help on their side. For a more in depth explanation of short sales read this post about “Short Sales and Shoes”. Questions? 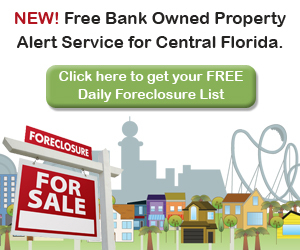 Call us at 407-340-6458 or send us a quick message and we will be in touch.